If the heartache of loss could be summarised in sound, it would be the din that fills Cogham as the villagers are dragged to the site of their inevitable demise. The fires burn bright, and the hatred burns brighter, and the world is aglow in a sickly gold, blanketed by a warmth that feels strangely like frostbite. Defying his physician's instructions to remain in bed, Jazan summoned an emergency council as soon as he was alerted to the disappearances. Ambassador Farisem did not attend the meeting, citing indisposition. To Orlitz’s surprise, Emilia was staying in a room at the lodge, not far from her own. The Cybunny had tailed the Aisha from the restaurant, taking care not to be spotted by the thief. Sopherie had given up hope that there would be a miracle. Baltove had informed her that he was almost done with the calibrations. She knew has soon as he was done, her life would most certainly end. 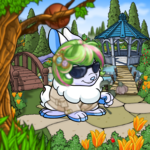 I looked around us, then at the three Neopets. I still couldn't figure out who they were or where we were. No matter how hard I tried, I didn't remember anything presented to me. AAARRRROOOOOOOooooooooooo…. For the third night in a row, the terrible howl rippled through the darkness, freezing the blood of the friends around the campfire. The flock of Babaas stirred in their sleep, and a few awoke with startled bleats and jumped up in a flurry of fuzz. Amon the Chomby leapt up to tend to them. “What do you think it is?” asked Kasha the Kacheek. Her black eyes were wide and wondering. 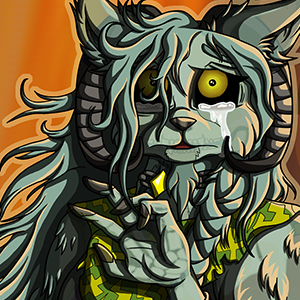 Like the rest there, all except Amon, she was Tyrannian, with a mop of untidy blue fur tangled with leaves and dirt. “Nothing to worry about,” grunted Gritta, their leader. She was a huge, hulking Grarrl maiden, snout scarred from years of escorting Tyrannian travellers across the dangerous plains, and defending her flocks from stray monoceraptors, roaming Bearog packs and Babaa-rustlers. “Go to sleep.” “I heard a story about a Werhond, born in Tyrammet and fed on Mutant Spyders until it got so big they had to drive it out into the jungle. It’s still there, seventeen feet long and thirsty for revenge!” Lakki was an Usul, and Amon wasn’t sure he liked him very much. He treated everything like a huge joke, and his eyes were small and mean. “Rubbish,” said Kasha, shivering and cuddling up to the nearest sleeping Babaa. “You heard Gritta. Go to sleep.” Lakki eyed Amon as the Chomby tiptoed back towards the campfire, trying hard not to wake any of the Babaas again. He took a bone from his hair and started picking his teeth with it. “What do you think, Cami?” Amon bristled, but bit back his retort. Lakki had taken to calling him ‘Cami’ because he was coloured Camouflage, and so stuck out like a sore thumb amidst all the Tyrannians there. The Usul never failed to remind Amon that he must be ashamed of his Tyrannian heritage, or was trying to be something he wasn’t, and Amon had learned it was no good trying to argue. Lakki’s tongue was quick and sharp, and his tail was quicker—more than once, Amon had lost his temper and charged, only to find himself flat on his back in two seconds with Lakki’s tail wrapped around his ankle. There Is Something In My Closet And It Is Roaring! 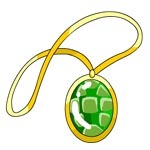 A classic Neopian game, Tyranu Evavu will test your luck, your reasoning, and your patience. In this guide, we'll take a look into the history of the game, how it works, and how you can win millions (or, well...thousands. Tyrannians weren't know for being rich, prosperous people). I know, I know. You’re all on your summer vacation and you can’t believe there’s an article about going back to school when it’s the last thing you want to think about. Here’s the thing though: school will come back faster than you think. When it does, you don’t want to be the lone Quiggle who’s still wearing a Yes Boy Ice Cream shirt, that’s just embarrassing. I'm the best owner ever?! 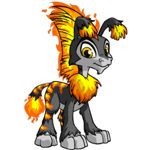 Fire pets make terrible gardeners.